Manchester United may not have signed a new player in the 2019 winter transfer window, but a huge development with respect to the future of one of their star players sure felt the same. The Red Devils got Anthony Martial to commit his long-term future to the Old Trafford outfit, as the forward signed a new 5-year deal, with an option to extend for a further year. 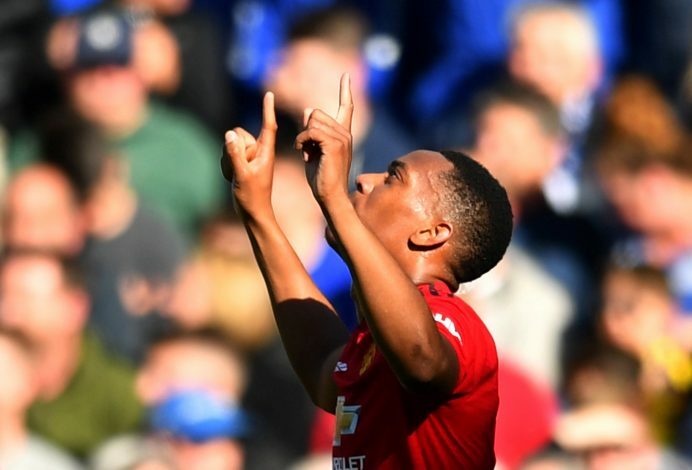 This news was received extremely well by the club’s enormous fan-base, because in Martial, the Mancunian giants have secured the services of one of the best young talents in the world. At just 23, the Frenchman has been highly impressive, especially under new interim boss Ole Gunnar Solskjaer. And if he continues to develop with the same consistency, the ex-Monaco starlet could very well become one of the best footballers on the planet in a few years. Martial’s abilities have already been compared to a player who is arguably the greatest to have ever graced a football pitch. United’s backup goalkeeper, Sergio Romero, likened the France international to his very own Argentine teammate and Barcelona superstar, Lionel Messi. Speaking to the club’s official website back in November, the shot-stopper had revealed: “He really is one of the best I’ve seen. I think that the only player in the world or who I’ve seen, running with the ball as if it’s stuck to his foot, is Leo Messi. “He can be going at top speed and the ball is always right on the end of his foot, it never gets far away from his control. That’s why he can do all the things he does. But the thing that Anthony has which is quite similar is when he is running at top speed, he can stop the ball absolutely dead, in a split-second. “That is the same as what Messi does. Leo will be running with the ball, on a mazy dribble, and then all of a sudden he’ll stop suddenly and change pace or change speed, or go the other side.